First, lets start with a failure of a review that I submitted. This failed, not in the unit tests, but in the functional tests. I had not run against a full tempest suite, not suspecting that the tests would fail there, but they did. This does not give a lot to work with. What I want is the test output. You can see that in the past I’ve clicked on logs (it is a more reddish shade than the blue links). 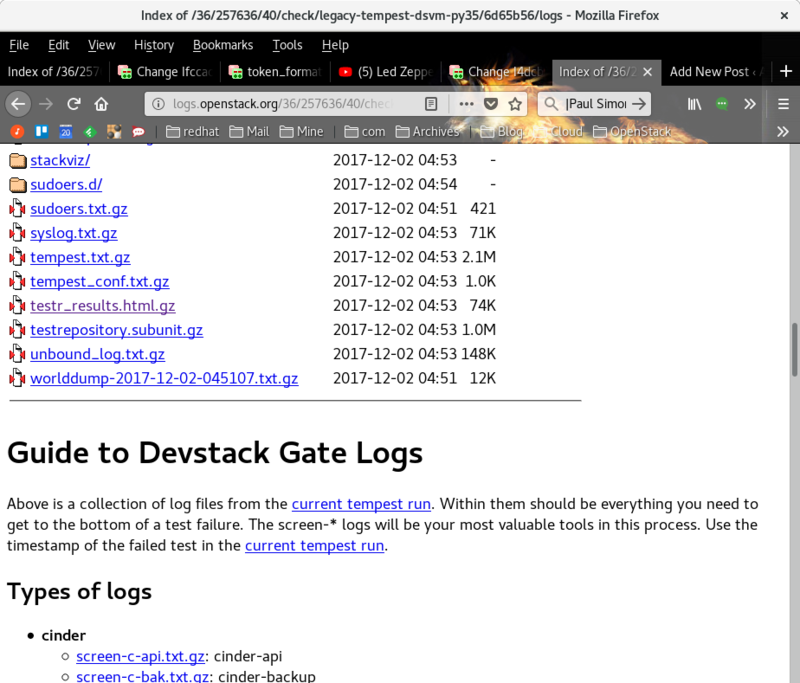 That brings up the cached logs. 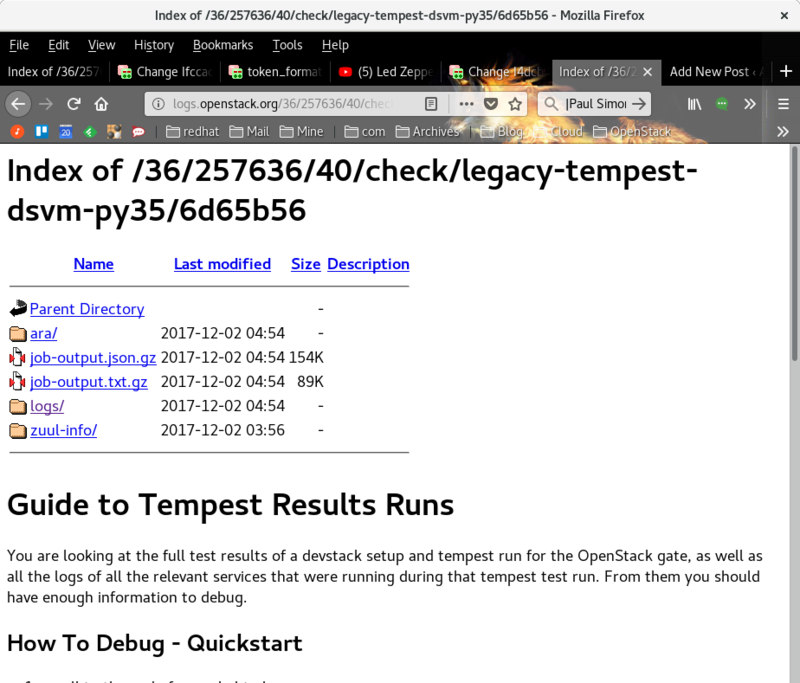 Scroll down to the bottom to find the link for tempest logs. 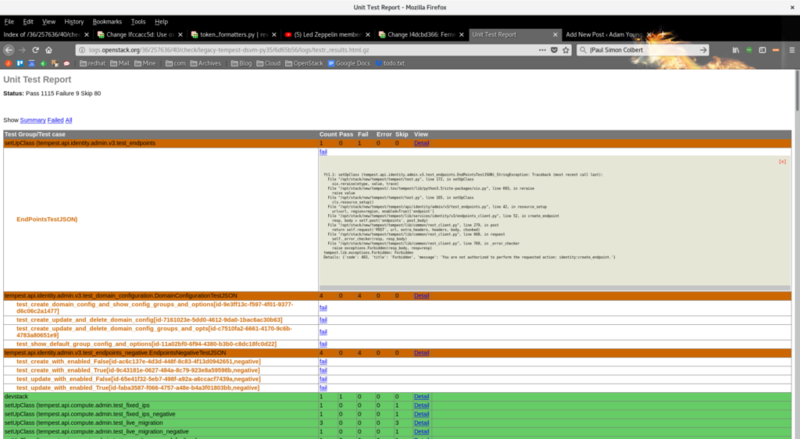 And clicking on the blue “fail” link for expands the stack trace, telling me what actually failed. Here I can read the stack trace and see it was calling “create_endpoint” which failed due to a policy check.